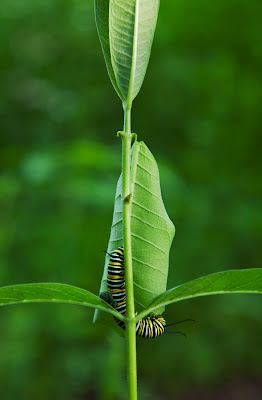 I've had milkweed growing in my yard for several years now. (The yard was landscaped with all native species, but the milkweed offered itself gratis.) Today, however, marks the first time I've witnessed a monarch caterpillar munching on one of them. Sweet!